The Mulga is what a swag used to be. It is a traditional style swag and a shelter, Tr additionally this is what a swag was. 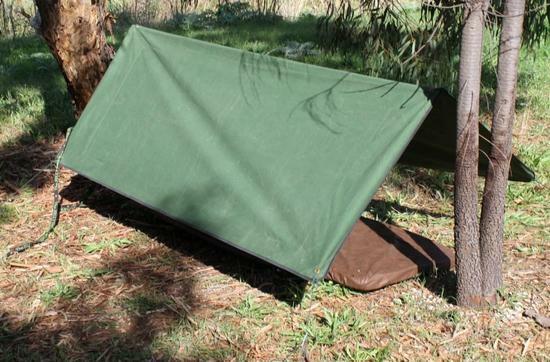 Just a basic roll out base with a mattress and can be reversed to make a shelter as it has 6 eyelets along the edges. The Mulga is also great for the hot weather.